Boston e le Sue Vicinanze. 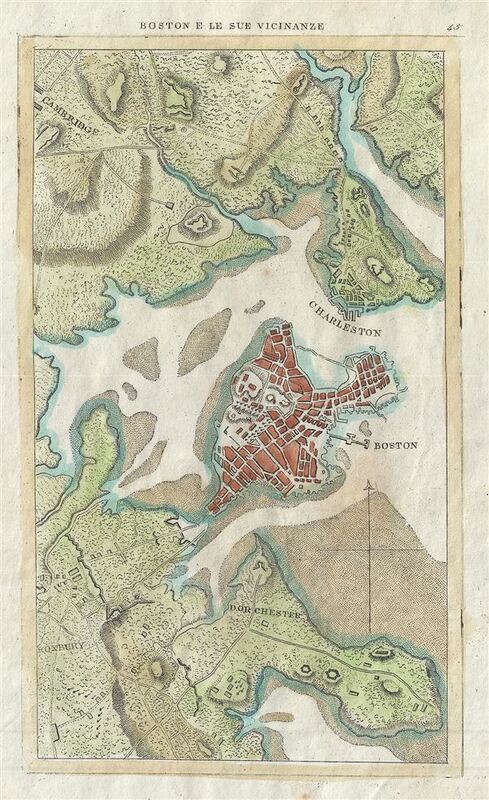 This is a beautiful c.1830 map or plan of Boston, Massachusetts. It covers the city of Boston from Cambridge to Roxbury. Beautifully rendered in stupendous detail, it notes tows, forts, roads, buildings and topography. Identifies Roxbury, Dorchester, Charleston, and Cambridge.